POE1602SFP-3 is applied to POE IPC camera, POE WIFI AP, and POE IPPHONE, and easy for network transmission. 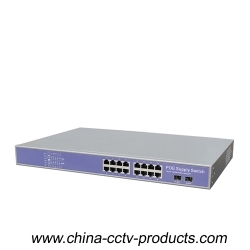 ◆ 16GE POE+2SFP, with different modules, can up to 100KM. ◆ MAX 30W, MAX power 400W.